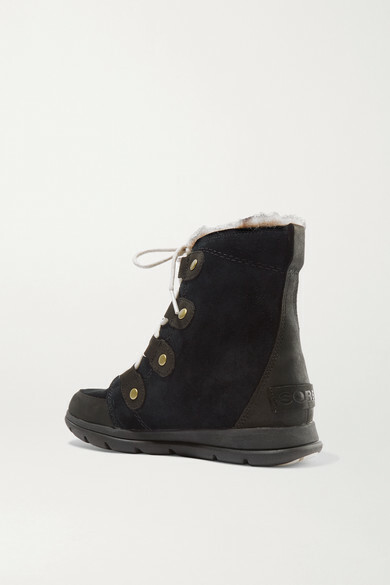 Sorel's 'Explorer Joan' boots combine the warmth of winter footwear with the comfort of a sneaker. 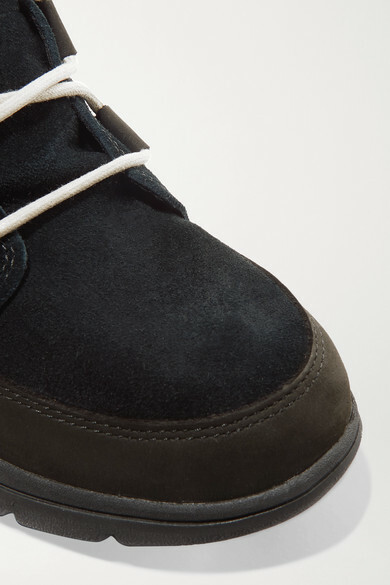 This pair is made from waterproof navy suede and black leather that'll stand up to both wet and snowy conditions. They're trimmed with faux fur at the cuffs and are set on substantial rubber soles. Wear yours with jeans and ski salopettes alike. 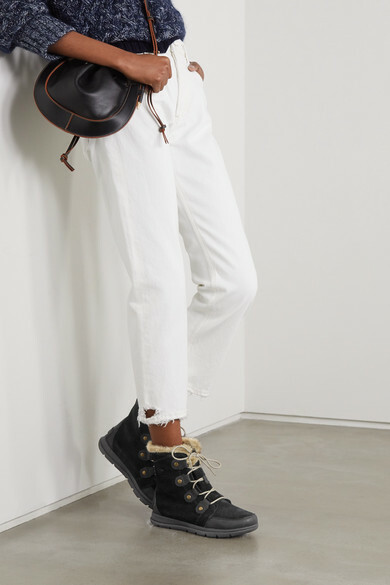 Shown here with: Moncler Jacket, Ksubi Jeans, Goldsign Top, Trademark Bucket bag.